Mountain Sports Inn is conveniently located on the Killington Access Road close to activities, shopping, restaurants, and night life. We offer simply one of the Best Values in Vermont! You’ll find that there’s a lot of available lodging in the Green Mountain State, but none quite like the Mountain Sports Inn when it comes to charm and hospitality! Our staff is 100% committed to providing our valued guests with comfortable lodging, great service, and a warm, fun atmosphere! At Mountain Sports Inn, you will find clean, tastefully decorated guest rooms and suites, a relaxed homelike atmosphere, great service, and most importantly, an affordable price! We are located at the foot of Killington and Pico Ski Resorts on the Killington access road, just a couple of miles from the lifts. 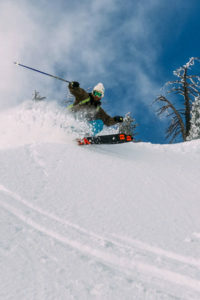 Our staff at Mountain Sports Inn are life-long skiers who can help you with any information you may need about the mountains: equipment rentals, ski/snowboard lessons, restaurants, the hidden ski trails, or where the best skiing is that day for your level. Killington offers public shuttle bus service to the Killington Road from 7:30 am to 2:00 am in the winter. Note, the routes and schedules change seasonally. Mountain Sports Inn is a four season Vermont destination. 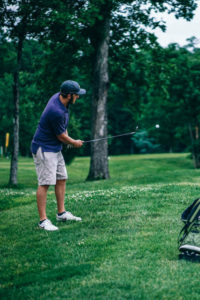 Within three miles of our inn there are two great golf courses and golf packages are available through Mountain Sports Inn. For the hiking enthusiast, we are only one mile from the Appalachian and Long Trails. Fishing and hunting, in season, are favorite Vermont pastimes and our central Vermont location abounds with rivers, streams, and endless forests. We are very knowledgeable about the area and will be happy to assist you with your recreational planning. Read more about our Vermont Activities including biking, cross-country skiing and fall foliage touring.